United States Sports Academy Board of Visitors chairman Dr. Robert M. Goldman, right, received the 2018 Arnold Classic Lifetime Achievement Award from Gov. Arnold Schwarzenegger at the recent 30th anniversary celebration of the annual Arnold Sports Festival, in honor of his notable contributions to the fitness industry. DAPHNE, Ala. — United States Sports Academy Board of Visitors chairman Dr. Robert M. Goldman received the 2018 Arnold Classic Lifetime Achievement Award from Arnold Schwarzenegger at the recent 30th anniversary celebration of the annual Arnold Sports Festival.  The award is presented annually to an individual who has made notable contributions to the fitness industry and offered lifetime of service to the enhancement of sports performance and promotion. Goldman was recognized for his numerous contributions to sport, including founding the International Sports Hall of Fame (ISHOF) and his long-time work in fitness and anti-aging medicine. Goldman founded ISHOF in 2012 to honor individuals who have made outstanding contributions to sport and inductions are held each year at the Arnold Sports Festival in Columbus, Ohio. Arnold Festival co-founders Schwarzenegger and Jim Lorimer were among the inaugural ISHOF class, and Academy Founding President Dr. Thomas P. Rosandich was inducted in 2017 for his leadership in creation of the Academy. 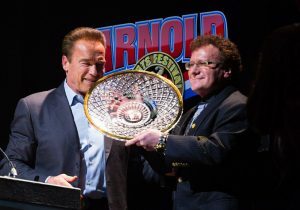 “To be on the same stage as my personal heroes and mentors in Arnold and Jim Lorimer and to receive the same honor as Ben and Joe Weider, Jack LaLanne, Reg Park and so many others is such a tremendous honor,” Goldman said in receiving the award from Schwarzenegger. “Anyone who really knows me knows I am a huge fan of achievement and achievers. They also know how very special this award and what an honor it is to me. My life has been dedicated to sports, martial arts, health, fitness, medicine and teaching others. Other past winners of the award include actor-bodybuilders Sylvester Stallone and Lou Ferrigno, among other luminaries in sport and fitness. Celebrating its 30th year, the Arnold Sports Festival in Columbus, Ohio, is the world’s largest multi-sport fitness weekend, with more than 80 sports and events drawing more than 20,000 athletes and 200,000 sports fans. Held in early March, the festival is co-promoted by legendary bodybuilder and film star Arnold Schwarzenegger.